Reinke does a great job defining our current society. He also does not shun technology. All throughout the book, he references his iPhone. 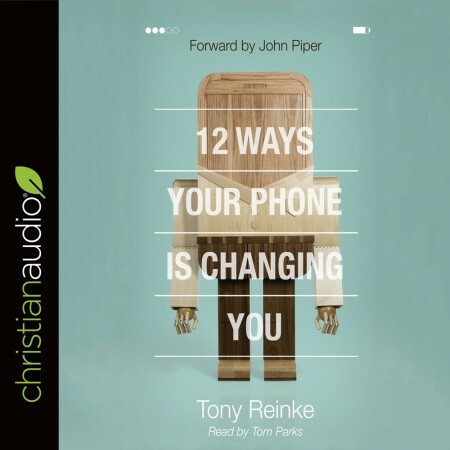 What Reinke is trying to do is point out the pitfalls of having something in your hand that connects you to the world around you without fully connecting you. He points out how social media apps, will have us looking for "Likes" (approval of man) and we may lose focus of who we truly are because we are just doing things for "likes". He also talks about how daily Bible reading has been bolstered by smartphones because we have our phone on us and will get a notification to read today's verse. This book is less about how having a smartphone makes your a horrible but points out that it is an instant heart check because your filter to this handheld technology is hardly existent. He gives some tips at the end to curtail some of the common uses of a smartphone that can be detrimental to your Christian walk. He also gives some ideas on how to reclaim your smartphone experience to further the kingdom of God.